Northern Exposure has been given this fantastic prize for the second year running from INMusic Festival in association with Creation23, eufest, This Feeling, Pirate Studios, Modern Sky, Popped Music and Musicians Against Homelessness to offer you this amazing chance to play the Croatian INMusic Festival on their main stage at 6pm. Earlier this year from an amazing shortlist, six lucky bands False Heads, The Americas, Hands Off Gretel, Himalayas, Deep City Diver and The Receivers played in Manchester at Pirate Studios to compete for paid flights, entry in to the festival, camping and a 6pm slot on the main stage of the INMusic Festival #13 2018 where Queens of the Stone Age headlined. It was False Heads who took the prize, catching the attention of the NME and travelling over to play the prestigious Croatian festival. Applications must also include: a short band biography (500 characters maximum), one high-res band photo, and contact details (name and surname, telephone number and e-mail address). Applicants must have a minimum of 30 minutes of their own music material, and to be able to perform the said material live. Competition is open to all UK-based bands and solo artists. Any band is welcome to enter signed or unsigned. You must be available for the full day and night on the 26th March 2019 and be able to get to Liverpool. 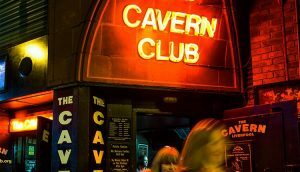 We are very excited to announce that this years final will be held in the iconic Cavern Club in Liverpool on the 26th of March and will have our special guest, music industry legend,and Creation23 boss, Alan McGee, DJ-ing on the night. We are pleased to announce that the finalists will be performing to Sam Meaghan (Modern Sky) George Holmes (This Feeling), Robert Fiddaman (contributor for BBC Stoke, Britpop Store), Eastwood Guitars A&R and Popped Music judges. So far The Cure, Garage and Foals are announced for 2019, with much more to come. 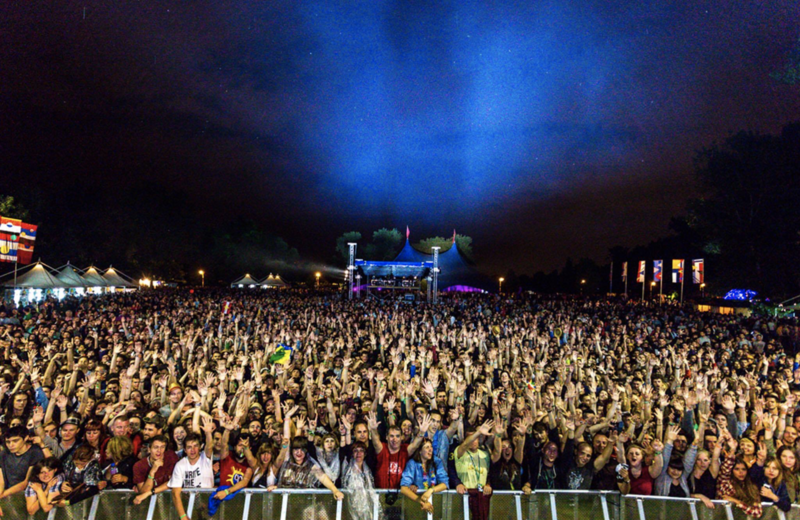 The INmusic Festival is Croatia’s biggest open-air festival, and is held in the country’s capital Zagreb. Inviting a selection of international rock and indie artists that have included Queens Of The Stoneage, Kasabian, Florence and the Machine, PJ Harvey and Jake Bugg to the banks of Lake Jarun, the festival has established itself as one of the best on the continent, thanks to its on-point lineups and inclusive vibe. Delicately balancing the historical architecture that Croatia has become loved for, with the tranquility of the Lake District and its dense forests and blue waters, INmusic’s setting has to be one of the country’s best surprises. All terms and conditions and how to to apply are below, there are no strings, what you see is what you get if you win! Applications for “Northern Exposure Presents All About The Music” 2019 are open from 10 December until noon on the 11th of February 2019. All entries will be listened to by a special jury outside of the competition organisers. The top 5 entrants, as selected by the jury, will play at the live final in Liverpool at The Cavern on the 26th of March 2019. The top 5 will be announced on the 14th of February. The winner will be decided on the night by a panel of judges. The winner will play on the Main Stage at INmusic Festival #14 – which takes place in June 2019 in Zagreb, Croatia – in accordance with festival programme guidelines. Entrants must be UK citizens older than 18 years. The winner of the competition hereby agrees to have their concert performance recorded on-site and consents to the unlimited reproduction of the recorded material for the purpose of the promotion of the festival promotion, without time or space restrictions. The festival reserves the right, at the festival programming team’s full discretion of choice, to request usage of a particular music material for promotional purposes and use in the festival promo materials without time or space restrictions or financial compensation. Winner of the competition will not seek any financial compensation for reproduction of recorded audio and visual materials used for the purpose of INmusic festival promotion, without time or space restrictions. Winners will perform at INmusic festival at the time and date determined by the festival production. Winners will get accreditation passes which will enable them entrance to whole three days of the festival. Number of accreditation passes is limited to the number of performing band members and it cannot be modified. 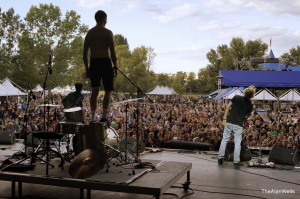 INmusic festival will cover return basic air fare ticket costs for a maximum of five performing band members on a flight chosen by the INmusic festival production from London to Zagreb. Extra baggage/freight/customs or related costs are not covered by the Festival.